Mich. Comp. Laws §600.5805, §600.5838a and §600.5851 Two years from injury or within six months from reasonable discovery. No more than six years from injury. Two years or within six months after the plaintiff discovers or should have discovered the existence of the claim, whichever is later if discovery of the existence of the claim was prevented by the fraudulent conduct of the health care professional against whom the claim is made or a named employee or agent of the health professional against whom the claim is made, or of the health facility against whom the claim is made or a named employee or agent of a health facility against whom the claim is made or there has been permanent loss of or damage to a reproductive organ resulting in the inability to procreate. Minors under age 8: a person shall not bring an action based on the claim unless the action is commenced on or before the person's 10th birthday or within the period of limitations set forth in §5838a, whichever is later. 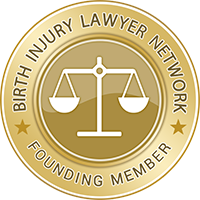 Minors between age 8 and age 13: if the claim involves an injury to the person's reproductive system, a person shall not bring an action based on the claim unless the action is commenced on or before the person's 15th birthday or within the period of limitations set forth in §5838a, whichever is later. §600.1483. $280,000 limit on noneconomic damages; $500,000 limit on noneconomic damages if (a) The plaintiff is hemiplegic, paraplegic, or quadriplegic resulting in a total permanent functional loss of one or more limbs caused by one or more of the following: (i) Injury to the brain. (ii) Injury to the spinal cord. (b) The plaintiff has permanently impaired cognitive capacity rendering him or her incapable of making independent, responsible life decisions and permanently incapable of independently performing the activities of normal, daily living. (c) There has been permanent loss of or damage to a reproductive organ resulting in the inability to procreate. The limitation is adjusted annually by state treasurer according to consumer price index. §600.6098. A judge presiding over an action alleging medical malpractice shall review each verdict to determine if the limitation on noneconomic damages provided for in §1483 applies. If the limitation applies, the court shall set aside any amount of noneconomic damages in excess of the amount specified in §1483. §600.919 The measure of the compensation of members of the bar is left to the express or implied agreement of the parties subject to the regulation of the supreme court. §600.6301 et seq. If the amount of future damages, in the judgment exceeds $250,000 gross present cash value, the court shall enter an order that the defendant or the defendant's liability insurance carrier shall satisfy that amount of the judgment, less all costs and attorney fees the plaintiff is obligated to pay, by the purchase of an annuity contract, if all of the following requirements are met: (a) The purchase price of the annuity contract shall be equal to 100 percent of the future damages subject to this section, less an amount determined by multiplying the amount of those damages by a percentage equal to the rate of prejudgment interest as calculated under §6013(5) or §6455(2) on the date the trial was commenced. (b) The annuity contract is purchased from a life insurer authorized to issue annuity contracts under §500.100 to 500.8302. Subject to §6307, if the plaintiff and the defendant agree to a plan for the structured payment of future damages within 35 days of the judgment, the court shall order that structured payments shall be made pursuant to that plan. Sections 6306(1)(c), (d), and (e), 6307, and 6309 do not apply to a plaintiff who is 60 years of age or older at the time of judgment.